8vo, 72p. Line drawings throughout. Red cloth, black lettered and decorated to boards. 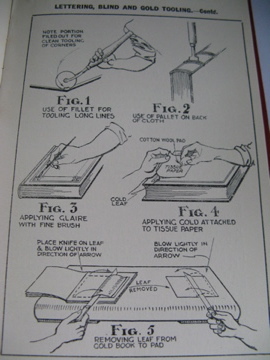 Continuation from “Bookbinding for Beginners” with exercises on re-binding and finishing. Concise and easy to follow work. 3rd edition in good order, previous owners ink details on ffep, partly cancelled.